Bahria Paradise is a new project in Bahria Town Karachi. Bookings are now open. The project has been launched officially on 27th April 2017 by Bahria Town Karachi. This project will be developed around a huge green area inspired by Central Park, New York. According to our sources, over 11500 Plots and Villas are already booked. Bahria Paradise is located near precinct 16 in Bahria Town Karachi and 4km from Superhighway. The Grand Jamia Mosque is on the opposite side. 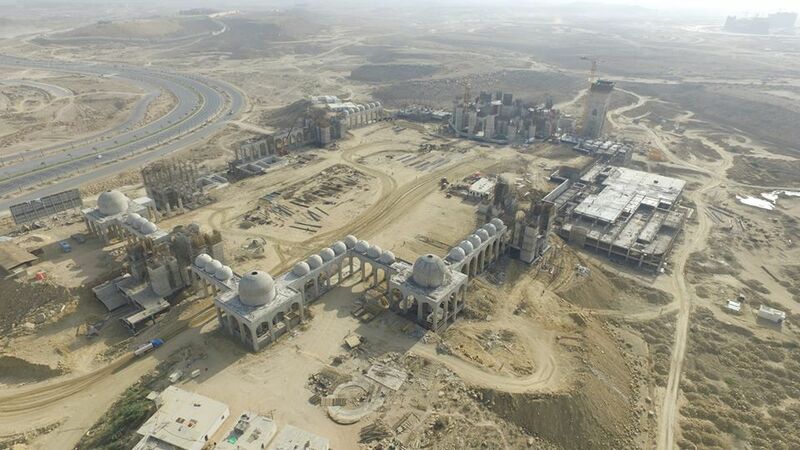 Also, there will be a massive replica of Taj Mahal within Bahria Paradise. Its construction will start soon this year. Pakistan’s first 36 hole GPA standard golf course. Grand Jamia masjid: The World’s Third Largest Mosque. Pakistan’s largest cricket stadium Rafi stadium. There are 250, 500, 1000 square yards Residential Plots and 500 square yard Luxury Villas with approx. 4700 square feet covered area including servant quarter within a boundary wall in a gated community. 1. First of all, Call us at +92314 535 89 38. 3. Finally, after payment, you will get a plot confirmation receipt. Note: The booking forms are available at authorized dealers for free of charge. Overseas applicants can either assign this task to some friend or relatives, or they can contact us to help process their applications. These plots and villas are available for a confirm purchase. There is no balloting process like DHA housing project.